an email with your free code is coming your way shortly! You both won a free code for the app SightReadMinor. Thank you to Melissa Harris for offering the codes to 88PianoKeys.me readers. If you are not a winner this time, click here to purchase the app for your studio. Stay tuned for a post featuring favorite apps of all those who entered this drawing, you won’t want to miss this list. Check out my Music App Directory for fresh ideas for your studio. 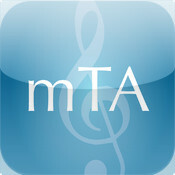 Look for the new page just added at 88Pianokeys.me Looking for Intermediate Repertoire? Visit the website at www.ipadpianostudio.com to pre-order my book coming soon entitled: The iPad Piano Studio: Keys to Unlocking the Power of Apps. Sign up for my newsletter to stay up to date with 88pianokeys.me here. Need to get in touch? Leave a question or comment below.